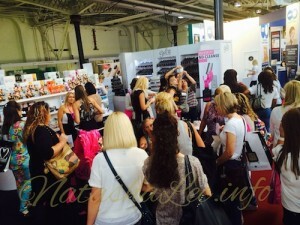 I love going to both Olympia Beauty & Excel in London each year, and I’m just back from my latest trip to Olympia last Sunday. It’s always buzzing with stands, offers and new products as well as talks and exhibitions and this year certainly didn’t disappoint. 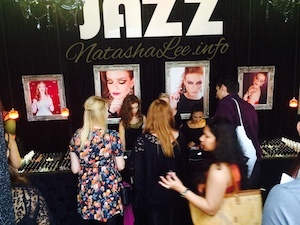 Whilst I do adore all things hair and beauty, I am always drawn back to nail stands, like a moth to a light 😉 This year was no exception, but there was a new kid on the block that I wanted to go and visit, spend some time with and have a good old nosey about and ask questions; and that was Gel II! My annual routine is as soon as I get through the doors, I make a beeline for the S2 (SweetSquared) stand to join the queue ready to get my hands on the new CND Shellac releases before anyone else, however, this time I headed straight over to Gel II. 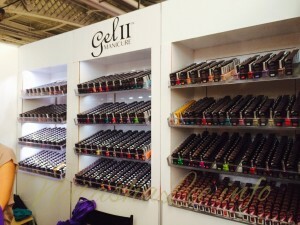 You may have read my blog on my first impressions of Gel 2, and because of these, I wanted to find out more and take away some extra products to try on clients. 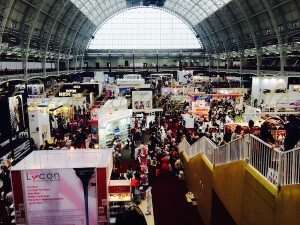 Considering it was their first time at Olympia, I was really impressed with the stand and they had an AMAZING range of products available to purchase, I was like a child in a sweet shop, and judging by the crowds, so was everyone else! Adding to the excitement was the fact that Gel II was announcing it’s UK Distributor, which I can tell you is the Creative Beauty Group! I spent some time chatting to Michael (CEO), Sandra (Creative Director), Doug Smith (Director of Education for Gel II and formerly at CND as their Director of Education) and a number of the lovely ladies working the stand. I have to be honest that they were a wonderfully down to earth and incredibly friendly bunch of people that made me feel very comfortable in their company and consequently I spent some time chatting to them about their products and treatments. Unusually in the nail industry, the CEO Michael of LaPalm not only created Gel 2, but also actually manufactures the product themselves! I was particularly interested in their Reactions colour changing gel polish, their Polish II range which match the Gel II colours and the brand new Pure Organics Spa Manicure & Pedicure range. I spent far too long hankering over the various bits and pieces, and after Michael had sent me away with some Polishes, their fantabulous LED light and some Pure Organics, I headed off to have a look round the rest of Olympia. After a quick catch up with Samantha Sweet, I was lucky enough to pass by the main stage Demo area, just as Kelly Winterburn of Team CND was looking for a victim volunteer to demo on. I was more than happy to have some time to catch up with Kelly again whilst she created a beautiful extreme glitter-tipped enhancement for me using CND Retention + Liquid and Powder and the new glitter additives. Everyone seemed to be queuing desperately trying to get hold of the brand new Lecenté Stardusts, and as I’ve been lucky enough to get hold of these prior to the launch, I can confirm that they are breathtaking and were worth the wait! 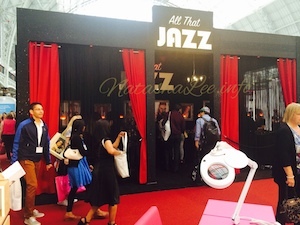 By far, I think the most aesthetically stunning stand at Olympia Beauty this year was All That Jazz. It simply stood out and made me stand back and exert a breathless “WOW” although regrettably my pictures just do not do it justice. 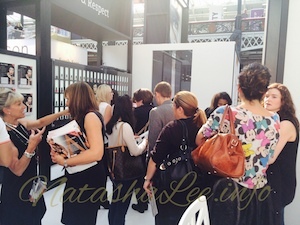 It stood out like a black sparkling beacon across the Olympia Beauty floor and tantalisingly beckoned you over. Beyond the black fringing and red velvet curtains was an intimate and opulent selection of polishes delicately lit by crystal chandeliers. The ladies behind they counter looked simply stunning too, as if they had stepped straight out of a 50s movie. I was half expecting to see Dita Von Teese frolicking in a giant champagne glass once inside 😉 I didn’t get a chance to pick up any polishes as it was a busy, snug space inside, but I have made a mental note to grab some in the near future. 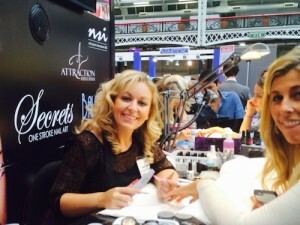 After I spotted the lovely Gemma Lambert demoing on the NSI stand, I decided to spend a little time watching her produce stunning extreme enhancements. 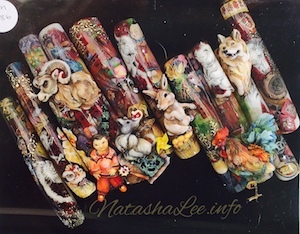 I have followed Gemma from her early days with Naio on You Tube, and her work just goes from strength to strength, where really, she is the queen of the Stiletto tip. 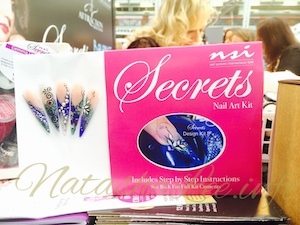 Gemma was demonstrating products from the new NSI Secrets Nail Art Kit which again, I think I am going to have to pick up at some point as the designs produced with the new 3D gel, were just stunning. Next I headed over to have a look at Amy Childs’ Spray Tan which was on offer at Olympia Beauty. It’s hard to believe that Amy is only 23 as she conducts herself with such an elegant maturity and is just an incredibly gracious young lady. After a quick chat about my blog and the products, I headed upstairs to have a look at the competition entries. I persuaded a friend of mine to enter the Scratch Stars Shoot Out this year (and then didn’t get round to entering myself 😉 ), so when we headed upstairs I was ecstatic to see that my dear friend Alison Guildford, had 3 of her pictures on display. 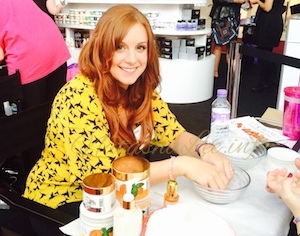 We first met when she was my CND Educator on my Master Gel qualification. 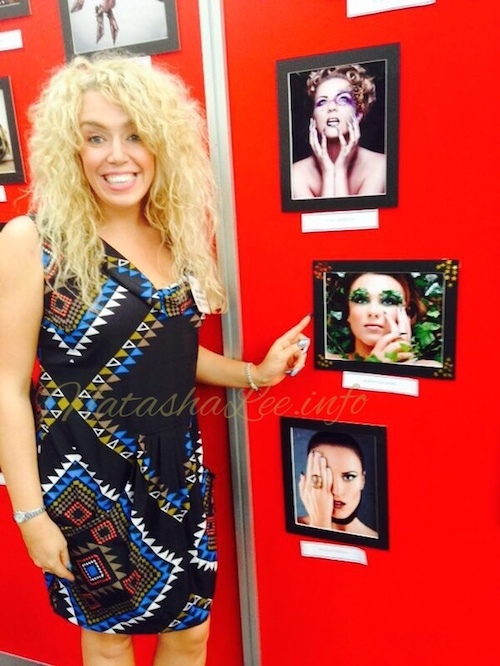 Her work is just amazing and she was up against some stiff competition that day, but I adored the balance of her entry, with a combination of Stiletto enhancements, and the soft crystallised ivy leaves. 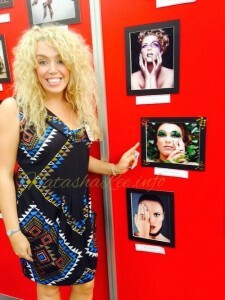 Needless to say, we were both grinning like cheshire cats when we saw her pictures displayed and I know that you’ll agree her work is sensational. 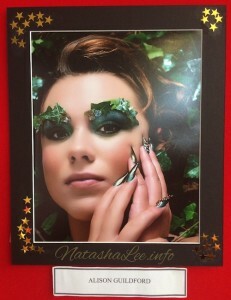 Even more unbelievable is that Alison created the nails, makeup, hair and photography for the entry all herself. She is one talented lady! After a quick cwtch with Marian Newman, I took a little time to look over the absolutely amazing entries for the Box Nail Art competition. I have never ever seen work like it, it was astonishing! It just demonstrates the artistic abilities and control of mixed media that talented techs can possess. I really think a number of the displays deserve to be on permanent viewing for the public as they blew me away! Finally I felt it was time for a sit down, and headed back to the Gel II stand for a bit of pampering! A lovely lady called Carla sat me down, and proceeding to give me a fabulous Gel 2 mani using one of their new Reactions polishes which changes colour with heat and cold. I opted for Hula Talullah, which varies from a beautiful Aubergine when cold, to a lovely soft Fuscia when warm, and a lovely ombré of the 2 colours at all other times. I was immensely impressed by the cordless, automatic LED light, and I am very happily now the proud owner of one! Following a beautifully painted Gel 2 mani, Laura welcomed me over to demonstrate the new Pure Organics Spa Mani/Pedi Range. It felt fabulous to be on the other side of the desk for once being perfectly pampered! 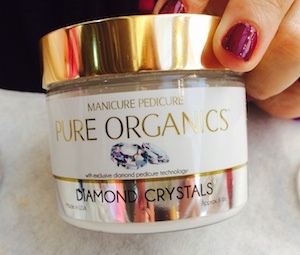 I was fascinated by the Pure Organics Diamond Crystals and judging by everyone else’s reactions walking past the desk, so were they! With the tiniest sprinkling of Diamond Crystals into the bottom of a Manicure Bowl, you simply add some water, stir and watch the magic happen!!! It turns into snow! Not the cold wet kind of snow, but with a dash of Pure Organics fragrant cuticle oil added in, it turns into one of the most sensational things I’ve ever had the pleasure of touching! Infact, I involuntarily let out a bit of an excited giggle as I placed my hands into the bowl! 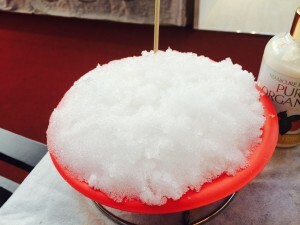 After behaving like a giggly schoolgirl for a little while, Pure Organic Salts were added to the “snow” which then slowly turns it back to fragrant water. After a wonderful exfoliating Pure Organics Sugar Scrub followed by a luxurious masque, I was moisturised and left in a fragrant and luxurious state of relax! Easy Gel II Removal, No Buffing!